Hermitage plastic surgeons at Advanced Liposuction Center know that Black Friday signals the start of the busiest shopping time of the year and that means we’ll be seeing a lot more patients who want to get rid of their varicose veins permanently. While support stockings and taking breaks and elevating your legs may help you get through one shopping trip, the heavy, aching, tired feeling in legs with varicose veins will only get worse as the holiday season progresses. The only way to get permanent relief is to address the underlying problem. 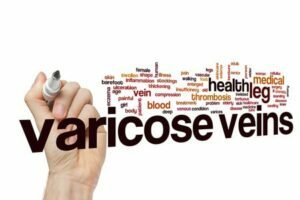 Varicose veins have the potential to form blood clots, making them a medical issue as well as a cosmetic one. Sclerotherapy can be used to treat veins on the legs, arms, chest, hands and face. If you would like to find out if sclerotherapy is your answer to unsightly and uncomfortable varicose veins, set up a free consultation with one of our expert cosmetic surgeons. Contact us today at: 724-683-7581 to schedule your appointment.